–Vice President Yemi Osinbajo, speaking at the 2016 convocation ceremony of Afe Babalola University, Ado Ekiti, on Friday, October 21, 2016. This essay is divided into four unequal parts. Part 1 provides a broad survey of corruption in the three arms of government, as indicated in Vice President Yemi Osinbajo’s statement above and implied in Ahmed Joda’s view of the ubiquity of corruption across the nation. Part 2 provides key explanations for the prevalence of corruption in Nigeria, while Part 3 examines key consequences of corruption. Finally, Part 4 proffers some solutions to the problem. But, first, what is corruption? In broad terms, corruption is any form of dishonest, unethical, or fraudulent conduct by those in some position of authority or involved in a transaction. Bribery and extortion are examples of corruption. 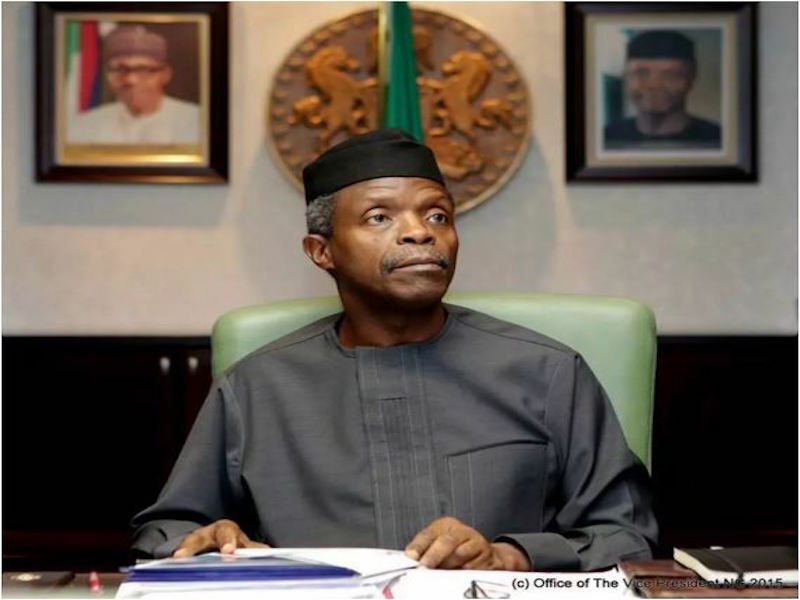 However, a close reading of the content of Joda’s report and Osinbajo’s convocation speech indicates that their focus is on political corruption, that is, graft and associated practices by which government officials illegitimately use the powers with which they are entrusted to appropriate funds and other resources for private use by themselves, their relatives, and their cronies. But political corruption is not limited to the misuse or misappropriation of public funds by public officials. It also includes nepotism, cronyism, patronage, and electoral malpractice. Part 1. Examples of political corruption in Nigeria date back to colonial times. Historical records show that elections and population censuses were rigged in favour of the Fulani oligarchy and the North, respectively. It was also common knowledge that elections were often rigged to favour candidates within their regions or areas of influence. Ever since Nigeria attained Independence, no administration has escaped allegations of political corruption. Corruption was the bane of the First and Second Republics as well as every military administration from that of Gen. Yakubu Gowon to that of Abdulsalami Abubakar, each succeeding government being more corrupt than the previous one. True, corruption might have reached a crescendo during the administrations of Gen. Ibrahim Babangida, who virtually made corruption a state policy, by routinely disbursing material and cash gifts to earn loyalty, and Sani Abacha, who carted away billions of dollars to banks in Europe and the United States. It is also true that corruption has reached unprecedented heights since the return to civilian rule in 1999. By 2012, it was estimated that over $400bn had been lost to corruption since Independence. The importation of any commodity by the government has always been used as licence for graft. It applied as much to cement importation during the Gowon regime and fertilisers during the Olusegun Obasanjo regime as to the importation of fuel and rice across several regimes. Similarly, various government initiatives designed to benefit the masses, such as the Operation Feed the Nation and the so-called Poverty Alleviation Programmme, were often used as conduits to reward cronies. Recent revelations indicate that corruption escalated under former President Goodluck Jonathan as it did under Babangida. Under Jonathan, the Presidency, the legislature, and the judiciary allegedly engaged in various corrupt practices, as indicated by ongoing investigations by the Economic and Financial Crimes Commission. But corruption goes beyond these three arms of government. Various public institutions viewed as corrupt include the Nigeria Police, traffic police, Nigeria Customs Service, and the Nigerian National Petroleum Corporation. Part 2. The primary causes of corruption include lack of openness and transparency in public service; compromised legal and judicial systems; resource scramble by various ethnic and religious groups; low wages and poor remuneration system; poverty and low literacy; greed, ostentatious lifestyle, and the material orientation of politicians and public servants; and a permissive culture of corruption by the populace. Lack of effective enforcement of anti-corruption laws and pre-bargaining by elite culprits diminish the deterrent value of punishment, thereby reinforcing impunity. Part 3. Corruption has adverse effects on people, the economy, and the society in general. Throughout the country, the consequences of corruption in Nigeria are evident in decrepit infrastructure (bad roads, inadequate and irregular power supply, lack of pipe-borne water, dilapidated public structures, and so on); substandard educational opportunities, including inadequate staffing, inadequate laboratories; comatose libraries, and understocked bookshops; poor health services; lack of proper justice; and lack of safety nets for the poor and the elderly. At the personal level, these shortcomings translate to environmental pollution; substandard education; poor environmental and personal hygiene; rising unemployment; and untimely deaths. At the societal level, corruption leads to diminished respect for public officials; lack of faith and trust in government institutions; and voter apathy. The effects on the economy are equally devastating. They include withdrawal or decrease in foreign investment; lack of development; trade deficits; and large public debt. For example, according to Joda’s Transition Committee report, the Jonathan administration drew down on the nation’s foreign reserves; dried up the excess crude account; and left the nation in a N7tn debt. Part 4. The critical question is: How does a society like Nigeria, where corruption is endemic, get out of the problem? In 2014, the World Bank suggested six complementary approaches to fighting corruption, which could be adapted to the Nigerian situation: 1. Public servants (civil servants, teachers, doctors, security agents, and others working for government institutions) should be well-paid to prevent efforts to supplement their income in “unofficial” ways. 2. Government spending should be open and transparent, with built-in mechanisms for tracking revenue and expenditures. 3. Bureaucratic red tape should be cut, by eliminating needless regulations and complicated processes, while also safeguarding the regulatory functions of the state. 4. Elimination of subsidies, which often lead to smuggling, artificial shortages, and black markets. 5. Participation in international anti-corruption conventions and be subjected to cross-border controls. 6. Deployment of smart technology to reduce direct contact between government officials and citizens could cut down on the opportunities for illicit transactions. These approaches could form the backdrop for a comprehensive anti-corruption policy, which should also benefit from citizens and civil society organisations. I had expected that Prof. Itse Sagay’s Presidential Advisory Committee against Corruption would come up with the draft of such a policy document or at least provide the outline for one. To be sure, there is general support for President Muhammadu Buhari’s ongoing anti-corruption fight. At the same time, however, the criticisms of his approach are justified. At the moment, it appears that the President and the President alone determines which corrupt official to fight and when, partly because the fight is only top-down and partly because there really is no anti-corruption policy to which citizens could key into. It is a miscalculation to think that citizen participation could be enlisted through a slogan or TV advertisement alone. Efforts should be made to reach the grass roots through various avenues, including schools, churches, mosques, civic centres, civil society organisations, NGOs, and so on. Moreover, there should be a system in place for rewarding and protecting whistle-blowers. The Buhari administration should be reminded that every administration before him had sought to fight corruption one way or the other. Until and unless there is an enduring anti-corruption policy that will be binding on successive administrations, the fight against corruption will continue to be subject to the whims and caprices of the President.